Halve the apples and remove the core,scoop some of the apple flesh (put aside) keeping a “boat shape”. 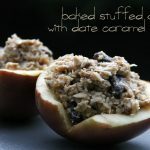 Place the apple halves on the lined baking pan and sprinkle each half with ¼ teaspoon of cinnamon. Pack each half with the oat mixture. Bake in pre-heated over for 30 to 40 minutes or until apple is tender. 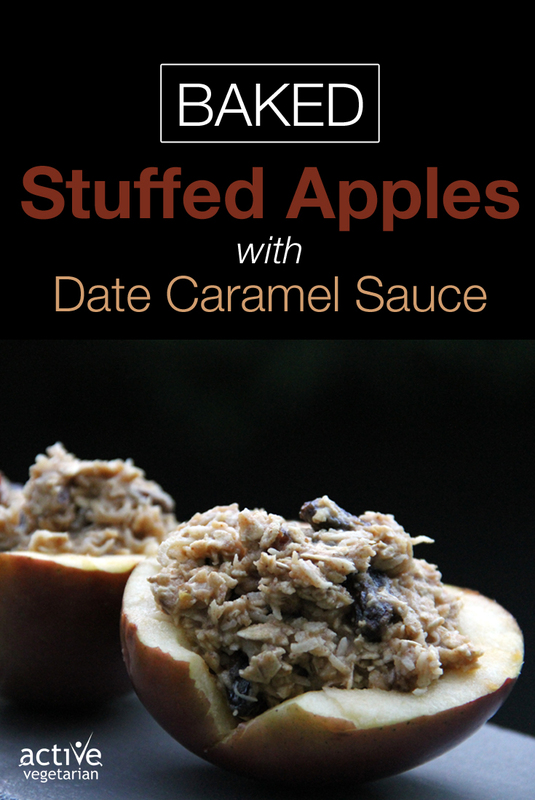 Allow apples to cool for five minutes, then drizzle with caramel sauce and serve. They are great even the next day straight from the fridge.